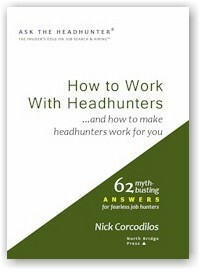 In the May 24, 2016 Ask The Headhunter Newsletter, we dispense with the Q&A and explore some bad news about who’s hogging the profits. While the price of fuel has dropped and airlines and their shareholders run to the bank with higher returns, you pay more to sit in smaller airline seats and to arrive at your destination later. Your stock broker gets rich off the higher fees you pay on your investments, while the value of your portfolio stagnates or declines. The trend is hardly worth debating — you pay more to get less. And now we know for sure that it’s hitting your paycheck, too: As corporate profits soar, you get paid less for your work. I love capitalism, but this isn’t capitalism — it’s greed, and it’s putting our economy and our society at risk because it’s devaluing the work you do and killing your motivation to be more productive. It’s doubly ironic because JP Morgan’s first-quarter profits beat estimates — while the firm slashed bankers’ pay. Even the bankers that are screwing us are getting screwed! Which is the long way of saying, you’re getting the shaft while The Man gets richer. The owners of those industries make out while your paycheck gets smaller. Sheesh — I never thought I’d find myself talking like a workers’ rights nut. So I’ll make myself clear: While I worry about workers, I worry far more about the gross imbalance between the value of work and what people get paid to do it. Even more than I worry about tired employees’ families going hungry due to stagnant wages and salaries, I worry that American productivity and ingenuity are at risk — because who’s going to be productive and inventive if that behavior is not going to pay off? It’s worse than you getting paid less. Our entire economic system is at risk because the concentration of ownership and wealth has reached such critical mass that it seems it’s going to destroy itself by ignoring a basic tenet of capitalism — at least according to my definition: Profits spur motivation to do more profitable work when those that create profit enjoy the rewards. What happens when workers — at any level and in any kind of job — see where the profits are going? I think it spells trouble. 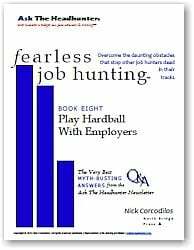 Rather than discussing the regular Ask The Headhunter Q&A column this week, I’d like to ask you to please read Peter Coy’s short article about Feroli’s work in Bloomberg Businessweek: Rising Profits Don’t Lift Workers’ Boats. He notes that between 1997 and 2012, in transportation and warehousing, the “share of business accounted for by the top 50 companies rose by 11.4 percentage points,” while in health care and social assistance, it fell 1.5%. What’s telling is that between 1999-2014, in transportation and warehousing, the share of profits paid to employees fell 7.6% — the biggest drop of any industry in the study — while in health care and social assistance, employees’ share of profits rose 1. 8 percentage points. Draw your own conclusions. Then let’s talk about whether you’re getting paid less — and whether it’s because a concentration of ownership and wealth doesn’t reward the people who come up with the ideas, do the work, and create the wealth. Since this is Ask The Headhunter and my purpose is to give you a takeaway to help you be more successful — here it is, based on the sources I’ve discussed above: It seems you’ll earn better pay working in an industry where there’s more competition and less concentration of ownership. So pick your job targets wisely. Feroli’s and Furman’s work suggests, for example, that the healthcare industry pays more of its income to employees, while the transportation and warehousing industries (which includes airlines and railroads) pocket more of the profits and leave workers in the lurch. Here’s how various industries stack up in terms of the revenue share controlled by their 50 biggest players. According to Bloomberg, Feroli’s analysis suggests “the share workers got tended to decline in industries where there’s more consolidation.” That is, when more revenues are controlled by a smaller number of firms (“consolidation”), the less that industry is likely to pay to its workers. How can you tip the balance back towards making your work more profitable to you — when your work is profitable for your employer? Or has our economy shifted so far that it’s going to tip over? In your experience, which industries share the wealth — and which of them pocket the profits you help produce? So next time you boss asks you to work (uncompensated) overtime, tell him you cannot afford to subsidize him. Nick, great column. Again. I’ve wondered how long it would take for you to use your platform to start zeroing in on pertinent political/economic issues affecting your readers. Keep on keeping on. I’ve stopped wondering. @John: This isn’t political. This is truth from data. But thanks anyway :-). My goal is to make sure my readers understand what affects their ability to profit from doing the work they want to do, so they can make good choices. Fabulous column! You expressed the issue perfectly in terms of employment opportunity and lack thereof. But unlike you, I don’t love capitalism just for the contradiction you note: it’s good business to eliminate competition. I sought shelter in the nonprofit world –not Heaven either– but we’re not eliminating competition, and we demurely hide our greed. Nick, keep in mind that economic power and political power are tightly connected in our oligarchy, oops, “democracy”. Just goes to show that current profits aren’t a result of innovation, but just squeezing every last bit from current employees. This is why people need to learn to be entrepreneurial. One can never make the same amount working for other people that they can make entrepreneurially for themselves. Be the owner of things, not the worker. Sure, some will say that not everyone can do this. But the way things are right now, there is little upside to trying to get ahead by working for others when the profits aren’t being shared out— at all. There is little to lose. Wages need to go up, or this system will topple eventually. The GINI coefficient is already looking dangerous for the USA. 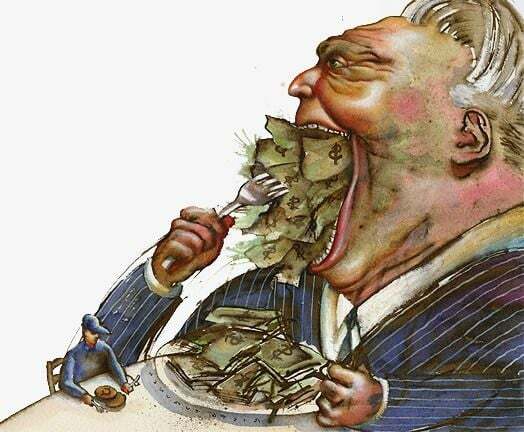 Unfortunately, the mega-wealthy are blinded by greed. They will not know what hit them, and that works for me. Make it work for you. Every time we ask the pols to create a new law to “protect” us from “evil corporations” they make it harder for new companies to enter the market. Thanks, Obamacare. The same is true for employees: The more letters are needed after your name to get the job, the fewer people will be allowed to do it, and the lower the quality of the employee. I assert that there will be lower quality because lack of competition leads to complacency. There’s a column for you, Nick: Do certifications really prove value? Or just the ability to take a test prep class and pass the test? I have had 5 certs for financial services, which I was not very good at, and one for biomedical equipment, which I was already very good at before I go the cert. In each case, I took a prep class and scored very high on the certification test. There was no link between having the cert and my ability to do the work (in the case of financial services, I did not want to push the product of the month on my customers just to meet quota). Ultimately the pols have no interest in opening up competition by rationalizing the regulatory landscape. They do everything they can to limit competition in their own industry – look at all the shenanigans they pull to limit the number of candidates and prevent the “wrong” people from getting on the ballot. @Addie: I view capitalism very simply, and I don’t like how complex a rationalization it has been turned into, to excuse horrible behaviors. To me, capitalism is the investment of capital to produce value, with returns uncertain. In other words, it’s all about risk, but more important, it’s about faith in the investment. And the investment is not just capital=cash. Capital is your work, your ideas, your enthusiasm, your motivation. Capital is you! But to me, faith is the biggest part of it. You invest because you have worked out the risks, then you take the risks, and you let your faith drive your behavior with the hope of success. Competition is just a small part of it. It’s no different than competition in the natural world – some succeed, some fail, some live, some die. Success comes from an iterative process — but it should be honest and forthright. Capitalism is not a zero-sum game, where I win, you lose — it’s a system that creates new value from nothing by applying work and brains. Like capitalism, competition is often a cynical excuse for bad behavior. When I compete, it’s to produce the best product or service so my customers will buy it and reward me for making what I make. I don’t compete to put the next guy out of business — he puts himself out of business if my product is better. If he’s smart and capable, he moves on to a product that he can make better than anyone else. My reference to capitalism in this column has to do with being a good worker who produces value and profit — and it has to do with the importance of making sure you enjoy the rewards of your work and of the value you produce. If you’re producing value for a company that hogs the rewards, you need to leave and work with better people in a better industry. I think one of the most unethical things we can do is to work with jerks, in an industry that steals value from those who produce it. That’s anti-capitalistic, because it means throwing capital (yourself) at a corrupt business that drains value. A healthy business or industry puts profits back into production — in this case, into paychecks. But I want to be clear: Workers who take paychecks as their “right” are draining value, too. My pay should motivate me to be even more productive and inventive. The rewards I get for my work should make my industry healthier and more productive. If I take my pay and do a rote job without figuring out how to enhance that job, I’m no better than the carpetbagger who steals value from his industry — and from his employees. Feroli and Furman are onto bigger issues — like how involved government should be in keeping markets honest and competitive, to avoid killing people’s motivation to produce value. I believe in free markets, but I also believe we cannot live in a society with others without rule of law. Only suckers try to live together without cops to keep the peace — because there’s always someone who’s mission is to take advantage of others. Without rules and laws, we cannot prosper together. The problem is, I think, that the laws and cops can become as corrupt as those who rise up to take advantage of us. The systems we create to ensure a healthy, safe, and productive society can be turned against us. Our job is to maintain rule of law so we can be productive and enjoy the profits we produce. It gets complicated, doesn’t it? I think it’s important to avoid becoming cynical, and to be as involved as we can be, both in producing value in our society, and in managing our rules so we can get along well together. That means you should vote, and if you can, you should run for elected office to make your society better. By doing that, you help ensure that your motivation to produce value grows, because you’re enjoying the rewards of your work. Folks, please read that again and again. It’s critical today. What EEDR says does not just apply to starting your own business. You must be entrepreneurial at any job you have. If your employer does not want you to behave entrepreneurially at your job, your employer is not likely to be in business for long — so find a better employer, for your own good. It’s mystifying how “jobs” have become a commodity to workers, just as workers have become a fungible commodity to employers. You’re not a replaceable cog, and jobs are not replaceable sources of pay. If you can’t do your job like you’re an owner of the business — even if you’re not — then it’s the wrong job and it’s a bad company. If your job is not paying you commensurate with the profit your work yields, it’s no place to work. It’s unethical for employers to pay you unfairly (that is, without sharing the value you create), but it’s also unethical for you to work with employers who behave badly — all you’re doing is encouraging them and contributing to the demise of the society you live in. Please think about EEDR’s advice. So it sounds like Teddy Roosevelt was right a hundred years ago — it’s about monopolies and oligarchies which stifle innovation and exploit labor, and the financial pressures that lead them to that state of affairs. We have identified the problem — how do we fix it? Strengthen and broaden anti-trust regulations? Reward long-term investments to offset the corrupt influences of short-term profiteering? Anybody have any ideas? The answer is simple, and proven to work over 100 years ago: workers need to unionize. Of course, TPTB have convinced us working stiffs that Unions Are Bad, when in fact the opposite is true. Weekends, the 8-hour workday, lunch breaks, sick days, safe working conditions, etc. were all obtained by folks unionizing, striking and getting beat up. They fought for rights we take for granted today. Thank you for pointing this out. Unions have become universally demonized… and if you look at the facts, they are actually good for society. I wish they were better at educating the public about the benefits that union membership offers. I wonder if Mr. Feroli’s preconceptions of market dominance vs. employee welfare may not create a causal link that doesn’t hold up less sinister factors. Can one assume that mergers/market dominance -> reduced employee welfare? Looking at this particular industry one might note that it is typified by low value-add from the perspective of knowledge and manual dexterity. Thus it is an industry ripe for leverage via capital investment in artificial intelligence (logistics software), physical manipulation (mega-ships and warehousing), and automation (rail control and robotic pick/pack/ship). All of these technologies have high fixed costs, but low variable costs (unlike workers). Could it be that mergers and industry consolidation facilitate high capital investment? Might one infer that capital investment in automation has a higher causal relationship to “employees share of profits” than company size? In a June 12, 2013 article in MIT Technology Review How Technology is Destroying Jobs, David Rotman posits that improved industrial robotics and intellectual automation are largely behind sluggish employment growth over the last 15 years. Rotman cites work by Brynjolsson and McAfee suggesting that technological change is destroying jobs faster than it is creating them, contributing to a stagnation of median income and inequality growth in the United States. 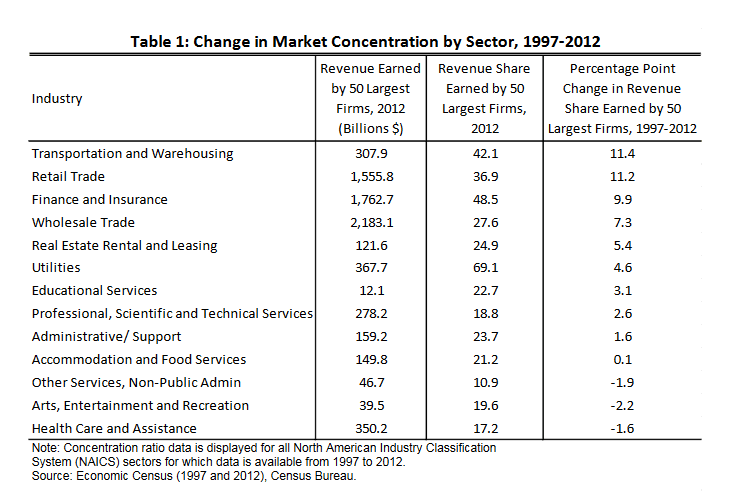 So while Feroli’s assertion that “‘…that industries with more concentrated ownership can charge higher prices. They pay out their extra profits to shareholders, or to the government in taxes, but not to workers…” may be true, the real villain may be automation and economy of scale. So the “…corresponding increase in the share of the value added in the industry going to labor…” might be more of a factor of the industry structure, rather than corporate greed. Finally, paying out “extra profits” to shareholders is precisely what an enterprise has a fiduciary responsibility to do. Shareholders include individuals saving for retirement, retirement funds generating income for pensioners, along with capital investors seeking a return on their assets. It is the corporation’s responsibility to maximize this return, even if it means doing so with fewer highly paid workers. Klaskow’s point that “Workers tend to be well-paid, but there are fewer of them…” is well noted. Nick’s caution to pick your industry wisely is good advice. However, I would argue that rather than concerning oneself with company size and concentration, the employee would be better served choosing a vocation based upon industry and social trends. Supply and demand is a BIG part of this as well IMO. There is a greater number of bodies in the job market, but companies have had to look to doing more with less, due to added federal and state costs of operations. @EEDR: I totally agree and tell anyone who complains about “not getting paid what they are worth” to either find a position elsewhere or start their own business. The cost of running a business is NOT as simple and with all the new governmental regulations coming down each week (newest is Added Sugar label requirements) from the current Administration. @Michael Enquist: I have worked with multiple PhD’s during my career and found the trend is….the higher the level of education, the less common sense the person will have. Another example is, we have two new employees that were hired around the same time. One has a masters degree and was able to negotiate a higher starting salary than the other who only has a bachelors. As it stands now after several months, the employee with a bachelors has been more productive and more receptive in learning SQL and other skills. The one with the Masters degree has put out inaccurate data multiple times and repeatedly shown poor judgment and a lack of initiative to learn SQL. What erks me is we specifically said we work in SQL every day and he would be expected to learn. He agreed in the interview that he could and would learn it. So far, he has proven himself to be unreliable and not worth even the initial starting salary he was first offered, let alone his hired rate. If it were up to me, I’d give him a 3 month review (just passed) and a performance improvement plan. At 6 months I would reevaluate his performance and progress towards meeting our standards/expectations. At 9 months, if he hasn’t met our expectations, then I would wish him well elsewhere. Some positions/jobs are just not suited for some people. IMO, He loves designing in Tableau, but has shown little initiative/concern regarding the accuracy of the data he has put out. Sure it looks nice, but it’s worthless as far as making any decisions on. His lack of attention to detail has put our offices reputation at risk and is a poor reflection on the office and staff IMO. I have found that a degree or certifications do NOT necessarily equate to a Superstar employee or even a team focused employee. Aptitude and attitude DO. Hire tough, so you don’t have to manage tough IMO. … companies have had to look to doing more with less, due to added federal and state costs of operations. It sounds like you are getting your anecdotal data from failing companies—uncompetitive fossils that are destined for history’s trashbin. In reality, 1 out of 5 large companies pay ZERO taxes. Companies don’t hire workers because they are altruistic. They hire workers because they have work that needs to be done and it is less expensive to hire someone than not get it done. If they can away with coercing their current employees to do the work of 2 or more people, they will! 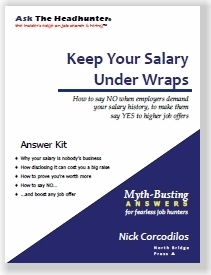 That being said, there a many, many companies that need workers, just read Nick’s articles! Companies struggle to hire because they recruit stupidly. @EEDR and @Nick are right. Self employment , or even just a more entrepreneurial mindset to one’s effort is the way to go. Three years ago I remember seeing how much my old boss billed me out and how little I got. What was worse was that I didn’t even have a good salary. He totally mopped the floor with me. Two years ago I went solo and even though things are not great, I’ve had to force myself to grow muscles in areas in which I was deficient –marketing, networking , learning what my niches are, etc. I’m at the cusp of the critical mass of solo client projects /and magical number of years’ experience (10 years post my final degree) that opens me up to a higher gear. I can’t give up now. As Eric Thomas , aka the ‘Hip Hop Preacher’ says , “Rise and Grind” every day! But the benefits were very average at best, and probably below average and so where pay raises. For the pay raises, They’d also play games on when they would give it to people – “high performers” would get theirs first, which could still be up to 6 months from a review, while others it could be longer. It was very demoralizing for morale when HR/Management tells you that they have high expectations for people and then when it came time to pay up, you were no better off for any efforts you put in. Keep in mind that this was also a F500 doing $billions in revenue and making $billions in profit. HR had sent me a survey when I left and I answered somewhat frankly, that the number 1 reason I left was money – that there was a feeling that it would take an Act of God to get any type of meaningful raise and that you’d have to basically leave the division I was in or company to get any sort of promotion/raise. This totally reminds me of Nick Hanauer’s epic TED talk about pitchforks. When it’s no longer profitable to slave (and I use that word advisedly) eight, ten, twelve hours a day, people put down the keyboard and the pen and the presentation laser pointer and pick up… *pitchforks*. There’s a fine line between depressed and mad as hell and not going to take it anymore, and a very strong tendency to come storming over it. @Bryan, I agree that unionizing would improve many workplaces. Unfortunately, many professions don’t have a union. If the rich people who profit off us tell us something is bad, it probably is in our best interest. The crap they pull sure isn’t. Great post, Nick. I’m going to send a link to this post whenever I receive a low ball offer or see one in a job ad. I used to work in the IT field and the money is very good in that field. Unfortunately, not everyone has the talent to be in that field. @Nick, Thank you for beautifully written wisdom. @Larry Kaplan, Well it won’t be by rewarding those loud advocates of individual initiative resting on their hindquarters doing nothing but collecting $50,000/hour in unearned income from Granddaddie’s efforts. @SK_AusTX: Good insights on the limited amount of information I was able to find about Feroli’s work. (I could not track down his actual “report” referred to in the Bloomberg article – I may go digging again.) I like your question about whether the impacts on workers is due to greed or just the march of technology. @Bryan H: I don’t disagree with you in principle about unions, but unions have created their own problems over the past few decades. Their corruption has set back workers’ rights dramatically. @Nick: Thank you for this week’s post. At a job I had two jobs ago, a benefit for all employees (full time and part time) was profit-sharing. When the company’s profits went above a certain threshold, everyone got a temporary, one-time bump in their paychecks. At that time, that was their way of rewarding the hard work, because it was the workers who ensured that the shareholders made a profit. I recently ran into a former colleague from that job, and she told me that not long after I left in 2002, the company decided to eliminate the profit-sharing benefit. She said that she noticed that people were less inclined to work harder, but new management was convinced that workers should be grateful that they’re even working and doubly grateful to get a paycheck. They also stopped overtime pay, choosing to bring in non-benefitted temp. workers when needed to complete projects. She said that morale went downhill very quickly, that many of the high performers left, and those that remained, well, work but don’t bother to try to innovate or streamline–they clock in, do what is required, and clock out. But the owners and shareholders are very, very happy as all of the profits now flow to them and they don’t have to share them with the workers. I think capitalism is the best system, but only compared to the alternatives. But I think that what we have now isn’t capitalism but capitalism drifting towards feudalism. @Bryan: I completely agree with you that unionizing would improve many workplaces. There was a PBS show on a few years ago about the Triangle Shirtwaist Factory fire of 1911, which is interesting not only for its historical background, but because it took a tragedy to bring unions into the garment industry. I think too many have forgotten that lesson, or never heard of this tragedy at all (even worse). It would not be remiss today as I think we are reverting to those times. And somehow, the richest of the rich have convinced the masses that unions are bad. Sure, unions are bad for the owners. It really is all about balance, as the article in the link Glenn posted illustrates. When the peasants of late 18th century France were starving and no opportunities, no hope of improving their lives, and when the peasants of Russia were starving in 1917 with similar lack of opportunities and hopes, they did resort to the pitchforks…and the guillotines….and the bayonets….and the outcomes were not good for the ruling classes in either country. We’ve always been more stable because we had a middle class and opportunities, but that doesn’t make us immune to revolution if things continue. I believe in reasonable, sensible regulations, and that is the role for government. But not for a government that is bought and paid for by lobbyists for the ruling class. Really? I’m shocked that it’s taken so long for us to recognize the obscene level of greed that exists in our flavor of so-called capitalism. Best of luck to anyone who thinks they know how to reverse the momentum of this established mentality as we’ve been living in denial for a long time. It’s not a zero-sum game, yet too many people invoke capitalism as just that: A system where there are losers if there are to be winners. I don’t buy that for a second, and it’s refreshing to hear a rich guy like Hanauer discuss it! As I’ve been looking over my financial picture, retirement looks pretty good. I won’t be living in luxury, but I never have. But I’ve thinking about my kids. I never worried much about having money or retiring, but they do and will. And part of that, I think, is what you’re pointing at here. It won’t be easy for them, as it was for me. Just in the last couple of days, I’ve been thinking about writing them a letter – now I’ll just begin by forwarding your post, for starters. This isn’t the whole story, as you pointed out, but it is a big problem. For my kids and others. And, indeed, for the country. I guess it’s more than obvious how this is shaping politics these days. This “bought and paid for” phenomenon is in large part because of how we fund political campaigns. Political campaigns are hugely expensive. Both parties are each likely to spend more than a billion dollars on the presidential election. Senate races could cost almost $10 million; House races $1-2 million. Lobbyists are an important part of the fundraising process. When a lobbyist talks to a politician, the lobbyist doesn’t need to rely on the strength of the argument, campaign funds speak LOUDLY. Issue One (www.issueone.org) is working on fixing this problem. Check them out if you’re part of the more than 90% of Americans from both parties who think we need to get big money special interests out of our elections. Couldn’t agree more Marybeth. The road to economic security for the masses runs straight through a broken political system favored by the few in the ruling class. The Republic is at-risk. Big time. Great post, and what you mention was part of my calculus to take my new job (and what went on at my old job). They do have profit sharing, and your yearly bonus depends on the amount of profit we make. Of course, the USA does not truly have capitalism, nor have we had it, for a very long time. We have socialism for the rich, and too big to fail, anti-competitive practices, Citizens United equating money and speech, monopolies, and lobbyists who buy and pay for political results and kickbacks. We have juicy subsidies, and tax breaks resulting in zero taxes paid by tremendously profitable corps, and offshoring of profits, and corruption made okay, but only for the “right” people and groups. Even when the courts call the clique on their excesses, they kick a little money back to the gov and all is made clean. Victims are never reimbursed. The gov takes their cut. No one in the clique ever goes to jail. This isn’t Iceland. However, anyone NOT in the clique would go to jail for doing the same and they would rightly be called thieves. We have oligarchy — NOT capitalism. Have we forgotten the difference? Who knows how well capitalism works or would work? We don’t have it, so we can’t really evaluate that which we don’t even have. Oligarchy is how 95% of Latin America runs–and even in nominally free market countries, that’s what you have. Mexico is the main example. (I’ll except Chile and Panama from this broad brush as their economies run pretty clean). Of course you descend from there into the hot mess that is Venezuela, the socialist disaster that is Brazil, the continuing crisis of Argentina and crypto-fascist states like Paraguay. We are trending towards that, and near-unfettered immigration from those countries doesn’t help keep us on the straight and narrow. It introduces their norms. FYI–my father was an Italian double immigrant–first to Buenos Aires where he was born, back to Italy, then to Connecticut. It took his family several tries to become US residents and then citizens. This goes a long way toward explaining the number of innovative mom-n-pop (or 1-man) restaurants, coffee shops, charities, book stores, sewing machine & fabric shop, pet care, etc operations that you hear about being run by someone “formerly in IT” or “formerly in corporate life”. Maybe the problem of employees getting decent, if not entirely fair compensation for their labors goes back to that point in history when we ceased to be “These United States” and became “The United States”. Exactly. Your wisdom is exactly on point.There are those ‘rulers’ who want exactly that. 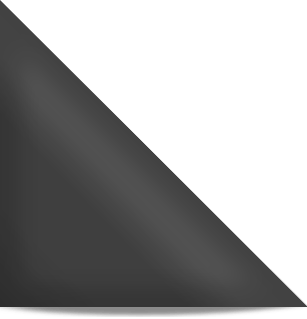 Re the drift….What happens when feudalism and serfdom are the norm? Not a lot of progress or happiness except for the few. A Malthusian world where the wealthy are sheltered in private enclaves and guarded by private security. Where those who are at the top because of blood and connections, jealously guarded. A bloody, unfair, static and mean world where laws, ideas and hard work mean little and privilege everything. And not much changes for the better. I’ve always been uneasy with the fascination many have with ‘Game of Thrones’ and other medieval ‘worlds’–perhaps they capture the zeitgeist, perhaps they are promulgated in the media to make us accept this life. Might have kept me on a better path path. Normally, I try to read through the comments carefully before commenting, but this particular subject has held a couple of thoughts I’d like to try to articulate before I go back and pay careful attention to the people who have taken the initiative to post their thoughts. I promise to come back and do my civic internet duty to carefully consider the other points of view. When I lost my nice job circa 2010 and was forced out into the wild for nearly two years, I noticed one thing and suspected another. As I tried to regain my previous level of employment (which, of course, never did and never will happen), I noticed that the laundry lists of the alleged skills needed to perform at acceptable levels continued to increase while the pay for those skill levels decreased. I was too much in shock at the time (clinical depression soon followed) to fully absorb the implications of my 85K salary dropping to the 35-50K range. My field is transportation and distribution. As the years went by, and I watched the positions that I was passed over for continually re-open, a couple of things came to mind. The first was that you really do get what you pay for. I survived my position for thirty years. Most of the positions I applied for didn’t stay closed for thirty months, often for less than the iconic 90 days. As I saw the pay range slowly increase, I saw things settle down. In the latest salary survey in my favorite professional pub (I still follow my field though I no longer lead) the salary for my level of management was almost precisely what I had projected had my job not been wiped out and my yearly increases not been tampered with. At least I know now that I wasn’t “overcompensated” for what I did, just competitively paid. 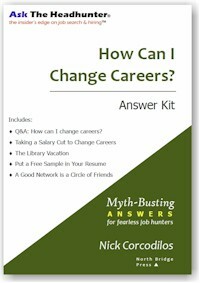 This knowledge probably shortened the trajectory of my post-traumatic job-loss disorder. Now that I know that I was competent in my field, I can handle the systematic silliness of the present employment atrocities just a tad bit better. As a few years passed since my job loss, I came to name the trend I spotted as the “two levels up, two levels down” phenomenon, though now it is probably at the “3 levels up, four levels down” position. Basically, the laundry list increases while the pay decreases, or stays stagnant. For while the pay report I spoke of regained course, almost 40% of the respondents noted that their responsibilities had increased significantly. My basic perception of the alleged “skill-set” gap that is related to this problem of proper compensation is that what actually exists is a “mind-set” gap. When you pay for experience, you not only ensure that valuable time will not be wasted reinventing the wheel, you increase the odds of successfully completing projects because patience and stubbornness (determination) come with maturity. You are not only paying for emotional intelligence; you are compensating a mind-set of effectual intelligence. I suspect that this mind-set is alive and well, and holding itself hostage in the form of discarded, forgotten, and marginalized 50+ aged workers who know what they’re worth, and are holding out until compensation begins to adequately reflect their hard-earned mind-set. They are not “discouraged job hunters” who “don’t have the stomach” to face repeated rudeness and rejection from HR: they are holding their talent hostage, patiently waiting for corporations to understand that the mind-set needed for success comes with a fair market value, and that that value is currently being undervalued. And because they were tossed out of the corporate plane without golden parachutes, or more often, with no parachutes at all, they’ve learned in the last half-decade that they can weather financial hardship better than they thought. Which makes their bargaining chips all the more valuable. They’ve done the math. Now it’s time for the corporations to re-do theirs. Did you see the comments on the above-referenced TED talk, http://www.ted.com/talks/nick_hanauer_beware_fellow_plutocrats_the_pitchforks_are_coming?language=en#t-430233? Not much positive outlook to find there. Thank you for the incredible list of links. Actually, I was 58 when I lost my job circa 2010, and fell into deep depression only weeks after. I had known that suicide goes up during bad economic times, but this is the first time I have seen the numbers in my age group. I knew my age was decreasing my callbacks to my job applications year by year. I actually am one of those discouraged workers, because I seldom apply for anything anymore. Just short of two years after I was tossed out of my thirty-year gig, I was “accidentally hired” into an entry-level position I still hold five years later. I know that I have been incredibly fortunate to stay continually employed at a slightly higher rate than minimum wage. I also know that a lot of people in my age group have not been so fortunate. Thanks again for the links. I’m glad there’s still a few people reporting on these things. @Nick: I agree with you that capitalism isn’t (by definition) a zero-sum game, but unfortunately that is how it operates here. I think competition is good–for everyone. It gives consumers options, and forces businesses to innovate, to strive, to try to improve their products, services, etc., which in turn improves the businesses. But that isn’t what we have with the current version of capitalism. It is very much a zero-sum game, where competition is viewed as a threat, a danger, something to be eliminated. Teddy Roosevelt broke up the big trusts and big conglomerate corporations because he could see the danger they posed to the economy and to the country. Fewer monopolies = greater competition = better for the economic, social, and political health of the country. We need another Teddy Roosevelt! @Peter: Regarding your comment about Ph.Ds, there is some truth to it. When I worked at a large state university (all of the faculty had doctorate degrees), the joke was that Ph.D means “Pile (it) higher and Deeper”! That said, I was fortunate to work with some who had a great deal of common sense and who weren’t afraid to work and to try to get things done, but some, well, they couldn’t match their socks and I wondered how one in particular managed to make it to school. I am convinced that his wife got him up, dressed, fed, shoved him out of the door, told him to turn left and go along until he got to campus. I agree, and I’d go further. I think “Citizens United” has been an unmitigated disaster for ordinary Americans and for our political system on the whole. If I were writing the dissent, I would argue that money does not equal speech, money equals access. Access to politicians, who can bought to vote the way those with deep pockets require. They can write laws (such as the banks and insurance companies writing banking and insurance laws) so they are beneficiaries, not the people. I read somewhere (I’ll try to find a link) that politicians vote the way those who donate the most want them to vote, regardless of how the majority of their constituents vote or feel about the issues. I also remember watching an interview with Barney Frank (MA Congressman) several years ago. He wasn’t against inequality, stated that some inequality is good and necessary, but what we have now is dangerous because it is so out of balance. @marybeth: I don’t think we can call what dominates American business “capitalism” at all. It’s speculation. What passes as capital investment is actually short-term gambling. RE: Citizens United. I think the single biggest issue in America (sorry, folks, I know many will raise other worthy issues) is campaign finance reform. I’m with Bernie Sanders on this. Until big money is taken out of politics, there can be no democracy of any kind. I’m not against big money (I wish I had some of that kind of money). I’m against big money in elections and in government. @Linnea: I agree, and if you think back to the kinds of labor abuses common in the 19th and early 20th century (long workdays, unsafe working conditions, low wages, child labor, and more), unions did a great deal of good (8 hour work day, 40 hour work week, sick time, vacation time, safer working conditions, banning child labor, etc.) But the balance can tip in the other direction, too. @Nick: Yes, that’s a good way to think about it (not true investment but short-term gambling). Your comment mirrors Al Capone’s statement about stocks and Wall Street in the 1920’s. He thought it was “a racket–those stock market guys are crooked.” His sentiments are particulary apt today as they were during the roaring 20’s. And you’re absolutely right–we don’t have capitalism. If we did, the banks, the auto industry, and others should have gone belly up in 2008. If I remember my econ 101 correctly, capitalism is Darwinian–the market rules, and the principle of survival of the fittest determines which businesses make it and which don’t. That isn’t what happened, because the government aka us taxpayers bailed out Wall Street, banking, etc. If it were truly capitalism, they should have failed. Even worse is that none of the people whose reckless behavior crashed the economy were indicted, much less went to jail. MA Senator Elizabeth Warren pushed for it, but without cooperation from the rest of Congress and from the administration, her efforts went nowhere. We’ll put the kid who sells an ounce of pot in jail and he gets a criminal record that impacts him for the rest of his life, but the people who sucked pensions dry, who sucked all of the equity out of businesses, etc. faced no punishment. And this goes back to big money in politics. We have the kind of government that big money bought, and it doesn’t help the average person. @Dee: thanks for your comments. You’re right about oligarchies and plutocracies. I haven’t decided whether we’ve become oligarchical plutocracy or a plutocratic oligarchy. It might be the same difference. I’d forgotten about Central and South American countries, but remember a former supervisor saying years ago that the difference between us and Mexico, Brazil, Nicaragua, and other such countries is that we have a solid, stable middle class, with opportunities for the poor and working class to move up the economic ladder. The other countries (she lived in many of them and witnessed their problems first hand) have a tiny group of people (aristocracy, military huntas, etc.) who own 99% of the wealth and have all of the political power. There’s no opportunity for self-improvement, and you remain in the social class in which you were born no matter how hard-working, how intelligent, how talented you are. And when too many of the poor starve, that causes revolutions and unrest (which are often put down bloodily by the military). At the time, she joked that if we followed Reagan’s philosophies to their logical conclusion, we would become Mexico, with a small group who control all of the wealth, benefits, opportunities, and political power, and rest barely making a living. She joked about it because she never thought it would happen here because of the safeguards in our systems. I haven’t seen “Game of Thrones”, but agree with your comments. Maybe it is popular because it reflects more or less where we are, and despite the medieval trappings, you could change the clothing, the dialog, and drop the characters in Congress, big business, etc. and you wouldn’t have to change the basic concept. We’ve already seen that the privileged, the wealthy, the well-connected operate by one set of laws and rules (no consequences for their bad acts) and another set for everyone else. We’re already there. FYI…my great-grandparents emigrated from Russia, Poland, Germany, and Austria in the early 20th century, and had long lived under autocratic rule in their home countries. Those monarchies were swept away during and after the carnage, chaos, and political, economic, and social upheavals of World War I. The Kaiser lost his crown but escaped with his life, living in exile, but Tsar Nicholas II and his entire family were brutally executed by the Bolsheviks, who realized that the only way to ensure that there would be no claims to the throne was to kill anyone who could claim it. Nicholas thought the military would be loyal to him, but he was wrong, because the war wasn’t going well, and they and their families at home were starving and dying while the Tsar and the aristocracy in their gated estates lived lives beyond the imagination of majority of Russians. They had nothing to lose by revolution. If our political leaders have any sense, that lesson is one they should remember. I think a century ago, unions were needed much more than they are now. Now that many things actually got codified in law, people tend to think that unions tended to get “too greedy.” I don’t think it’s demonetization; it’s just their usefulness has been questioned especially in the Western/developed world. In some locales, like France I believe, it is very hard to fire/lay off workers so many employers are over-cautious when it comes to actually hiring people – some say it’s essentially getting married ;). I believe this is even reflected in unemployment rates/labor participation rates. @Dave: I think unions shat in their own soup pots, just like companies have. Unions became as corrupt as the management they were supposed to serve as a balance to. Today, no one serves employees but employees. It’s why just today the jobs report revealed that over 400,000 people left the workforce in the last month. @marybeth: The tell-tale sign that there is no real capitalism is the same sign that there is no real rule of law: No one went to jail for the 2008 bank crash. I heard that jobs report this morning. Fortunately our local morning radio crew took a shallow view of the “Unemployment Rate Dipped to 4.7%! !” and dug a little deeper to find it was largely due to some 400,000 people just giving up on the job market after (or coincidentally with) the U.S. economy only adding 38,000 jobs in May.